Njobvu and Mokgacha win Botswana titles! 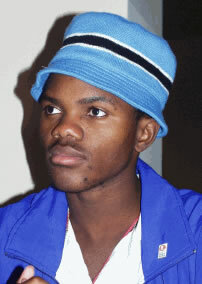 Kenneth Boiktuswane, "Njobvu, Mokgacha Surge Ahead ," Mmegi, 1 February 2006 (Gabarone, Botswana). Ignatius Njobvu and Keitumetse Mokgacha started the year on a high note by emerging tops in the first round of the Botswana National Chess Championships. The tourney, which marked the beginning of the chess calendar, saw 91 men and 23 women fight out for semi-final spots. Njobvu was the star of the weekend winning all his eight games in the men's competition to finish one and a half points ahead of the second placed pair of Cinky Boikanyo and Dzilani Abel. 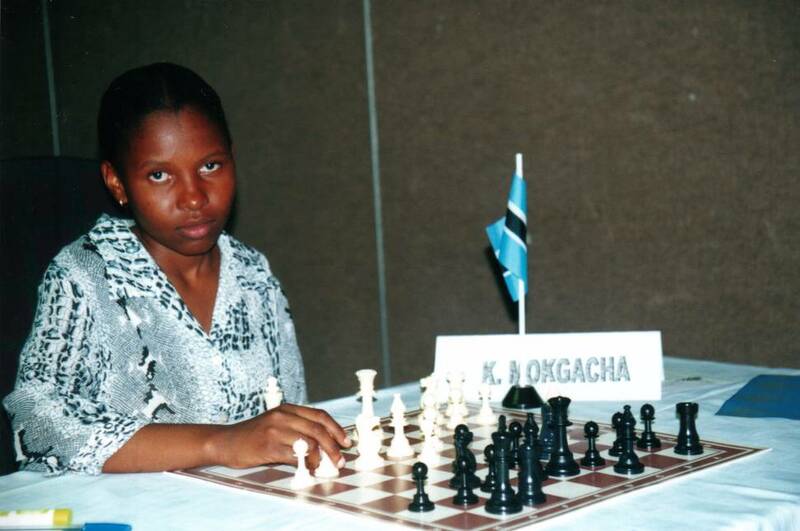 In the women's section, Mokgacha won five games and drew three to finish on 6.5 points, half a point ahead of FIDE Master (FM) Boikhutso Mudongo. Tshepiso Lopang, Boitumelo Reetsang and Africa Junior silver medalist Ontiretse Sabure shared third to fifth place after scoring 5.5 points each. Reigning national champions, Woman Grand Master (WGM) Tuduetso Sabure and FM Phemelo Khetho were exempted from the qualifiers. Mokgacha's win is a clear message to her opponents that she wants to reclaim the national team place she lost in 2004. Everyone remembers the tears she shed at that year's championship when she finished fifth, missing out of the national team by just one place. But judging by her play over the weekend, she seems to have found the key to winning games again. The 2001 women champion built her opening play on safety first tactics. She then exploded in subsequent moves to overcome her opponents. Another player who seem to have got her act together is Mudongo. She kept the pressure on Mokgacha throughout the event with some beautiful games. If the two keep up the standard they displayed, they may offer serious competition to Sabure, the dominant force in local and continental women chess in the past year. While Mokgacha alternated wins with draws in her tournament win, Njobvu showed no such tendencies. He swept all before him even though the field was tough, with most players concentrating on making the semi-finals. Njobvu's win is a huge psychological boost over his rivals, who should be wondering if it will be yet another golden year for Botswana's most popular chess player. As usual, he played a highly technical game, when most players were just content to play with minimum risk. The extreme safety with which the top chessmen played gave an opportunity aggressive types like Boikanyo and Abel to post their best performance ever. In the last round, as many as 12 games from the top sixteen boards fished in draws in less than 10 minutes. Although it must have looked easy for Boikanyo and Abel in this event, they will be advised to work hard for the semis, a knockout event, where the likes of Tebogo Pitlagano, Providence Oatlhotse, Ofentse Molale will surely come out of their defensive shells to win.